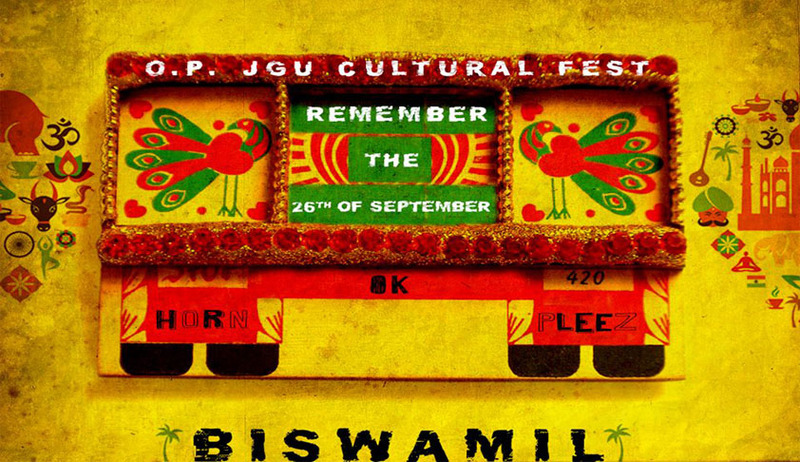 Jindal Global University is conducting its first Inter-collegiate Cultural Fest - "Biswamil '14" in the month of September. Biswamil'14 envisions participation from several prestigious law Schools, engineering colleges, under-graduate colleges and other professional universities across the country. It is scheduled to be held on 26th, 27th, and 28th of September 2014 at their 80-acre campus located in Sonipat, Haryana. The debate competition, photography contest and dance competition amongst others will be based upon issues that plague not only Haryana but all of rural India. Issues like child marriage, women empowerment and education. A documentary about the same will also be created by the Film Club. For further information, please access the Facebook page of Biswamil'14 HERE.